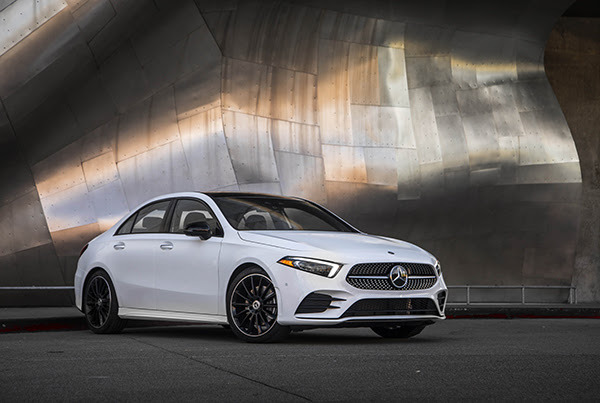 The A 220 and A 220 4MATIC both feature a 2.0L inline-4 turbocharged engine that produces 188 hp and 221 lb-ft of torque. This powerful and fuel efficient power plant is mated to a 7G-DCT dual-clutch transmission. The extensive standard equipment for the A 220 and A 220 4MATIC includes a Panorama roof and the intuitively-operated MBUX multimedia system with intelligent Voice Control. The in-car experience welcomes a new era of connectivity with standard Smartphone Integration with Apple CarPlay and Android Auto and a high-resolution widescreen cockpit concept with a 7.0-inch digital instrument cluster and 7.0-inch touchscreen multimedia display. The exterior design is further refined with standard 17" wheels and LED headlamps and taillamps. Benz C-Class 2015(C300 4MATIC Sedan) Current Price 37869, more bargaining?